Need to charge during your visit? 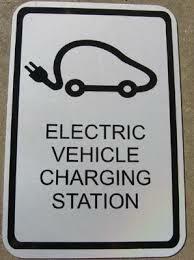 As part of our initiative to help the environment, we have a car charging station at our office. This communication strictly intended for individuals residing in the states of AR, CA, CO, FL, GA, IL, IN, MD, MI, MN, MO, NC, NY, OH, OK, OR, PA, TN, TX, WA. No offers may be made or accepted from any resident outside these states due to various state regulations and registration requirements regarding investment products and services. Investments are not FDIC- or NCUA-insured, are not guaranteed by a bank/financial institution, and are subject to risks, including possible loss of the principal invested. Securities and advisory services offered through Commonwealth Financial Network®, Member FINRA, SIPC, a Registered Investment Advisor.